My children are older and the opportunity to enjoy them for long stretches of time is shrinking. I’d love to say that when we are together, it’s always joy and laughter but that would be a lie. Sometimes we fuss and squander the time we have. But not yesterday. 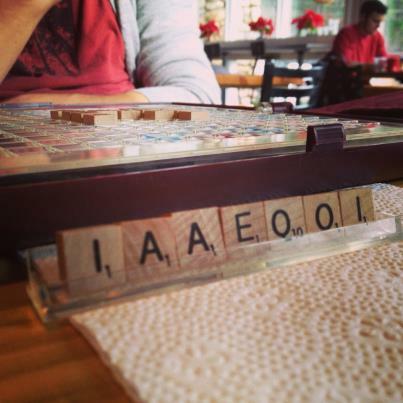 I went out for coffee with my ministry-minded OS Aaron. 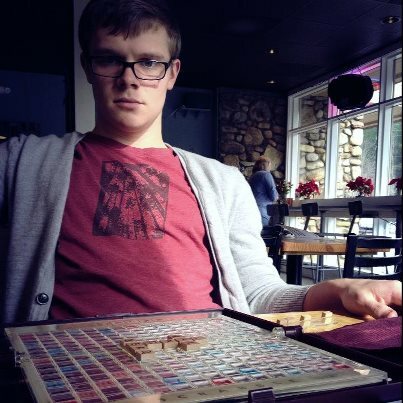 Armed with a travel Scrabble board, we entered into a spirited game of words. Two pretty girls were nearby and while I had a good advantage over my opponent, I also eavesdropped on a nearby conversation. Upon learning that these girls loved Jesus, I leaned over to them and I guess you could say I seized the opportunity. Obviously there was not a lot of opportunity in this sampling of letters, however, I stayed the course and managed to land a victory! Sometimes you have to take advantage of the moments God gives you. Big deal, it didn’t work out, you can’t fault a mom for trying. 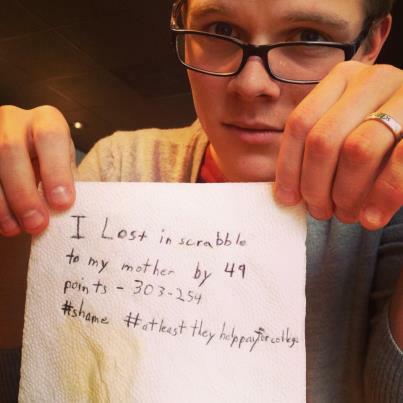 Aaron left the coffee shop single and soundly defeated by his mom. Was it worth it? Heck yes! What’s 5 minute Friday? It’s where a beautiful crowd spends five minutes all writing on the same topic and then sharing ‘em over here. It’s like free writing therapy for the tongue-tied, tired, or blocked blogger. Learn more here! Excited to be doing FMFs again! Oh, FMF is on again! YAY!!!! Um….did you really ask them that? hahahahaaa!!!! He was embarrassed but still smiled! And I beat him! I won’t push my luck again but he was a good sport and will be going back to that coffee shop without me! Lots of pretty girls who love Jesus there! Love it, dude. Love it! I did have nerve! I probably only get one chance per kid to do something like this! I’ll pass the info onto my son about your daughter! This might actually work out! Blessings!